News reports suggest that the MoEFCC is sitting on recommendations made by two important institutions which have been playing a crucial role in the forest governance—the Forest Survey of India (FSI) and the Indian Institute of Forest Management (IIFM). A new Forest Survey of India report prepared in 2015 states that at least 40 per cent of India’s forests have to barred from mining activities in order to maintain a healthy carbon sink. On being asked, a senior official confirmed that the report was submitted in August 2016, as reported by business newspaper, Business Standard. Out of the total forest cover of 701,672 square kilometres, according to the 2015 report, at least 285,853 sq km (or 40.74 per cent) has been considered inviolate. Around 216 coal blocks have been identified as inviolable by the new report due to its impact on hydrological features as calculated with state-of-the-art GIS mapping. The FSI report further states that India has about 7,044 million carbon stocks. In the context of forests, carbon stocks refer to the amount of carbon stored in the forest ecosystem, mainly in living biomass and soil. According to Food and Agricultural Organization (FAO), when forests are lost or severely degraded, their capacity to function as regulators of the environment is also lost, increasing flood and erosion hazards, reducing soil fertility and contributing to the loss of plant and animal life. As a result, sustainable provision of goods and services from forests is jeopardised, the FAO report states. On the extent of ecological services rendered by forests, yet another document prepared at the behest of the environment ministry did not see the light of the day. The report prepared by the IIFM, which was considered the draft of a new forest policy, estimated that the total value of India's forests (net present value) is Rs 115 trillion (US$ 14.69 billion) for the ecological services rendered by the forests. The report was scrapped by the ministry in June 2016. According to the policy document prepared by the IIFM, existing forest lands need to be protected and their diversion taken up only as a last resort after a complete scoping for alternatives such as alternative land, alternative technology and options for substitution. "The funds accrued in the form of net present value from the diversion of forest lands should be utilised to acquire critical non-forest lands to establish corridors to provide safe passage to wildlife. These acquired non-forest lands should be adequately protected and their boundaries demarcated and digitised. Such areas should be restored to enhance the quality of the ecological services they provide in consultation with local community. Also, when this diversion takes place in wildlife habitats, suitable remedial measures should be provided to ensure connectivity for free and safe movement of wild animals," the report recommended. 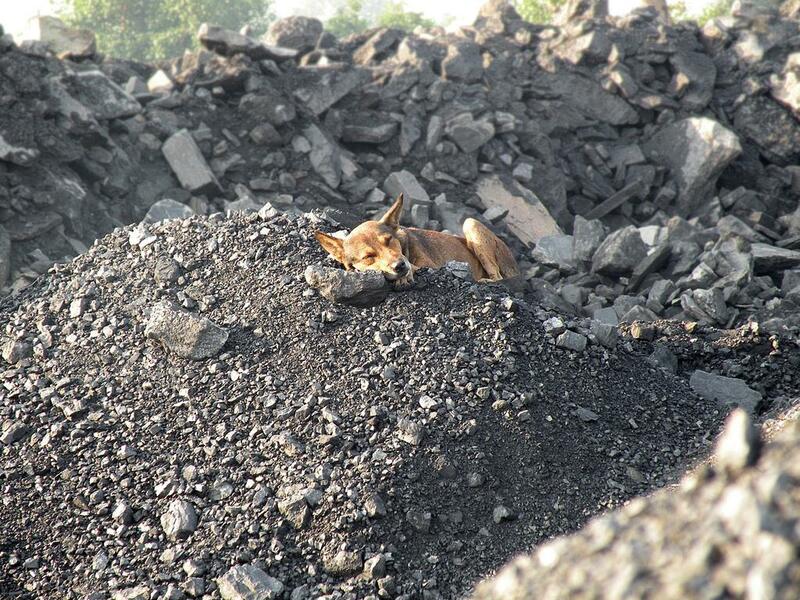 The FSI report, according to the sources in the ministry, did not sit well with the Forest Conservation division of the MoEFCC, which, in November 2015, allowed state governments to execute mining leases under the Mines and Minerals Act, 1957 for non-forest uses of forested coal blocks. These guidelines allow miners, who have secured Stage-I approval under the Forest Conservation Act, 1980 (FCA), to go ahead with mining in non-forest area even if the final clearance for the forest area has not been accorded. Forest land is only given in Stage II once all conditions, including settling rights of forest dwellers are met by the project developers. A senior official said that there have been complaints about slow pace of approvals to some of the coal mining projects already under operation. The official, however, countered the FSI 2015 report quoting an earlier FSI report from 2008. He stated that only 11 per cent of the forest land will be barred from coal mining. "We are evaluating both the reports. Such recommendations need to be seen in the light of the earlier reports prepared by the FSI," the official said.